I am lucky to be the recipient of a five-year ERC Starting Grant that allows me (and a great team: Sanna Ojanpera, Amir Anwar, Nicolas Friederici, Michel Wahome, Fabian Braesemann) to investigate the geographies, drivers, and effects of Sub-Saharan Africa’s emerging ‘information economies. The project asks whether these economies represent a new era of development, and how information and communication technologies impact on older processes of dependence, underdevelopment, and economic extraversion. Sub-Saharan Africa (SSA) has traditionally been characterised by stark barriers to telecommunication and flows of information. Rates for long distance phone calls throughout Sub-Saharan Africa used to be some of the highest in the world. Internet costs and speeds similarly were out of the reach of all but the most privileged citizens. However, in the last few years, there have been radical changes to SSA’s international connectivity. Fibre-optic cables have been laid throughout the continent and there are now about one hundred million Internet users and over seven hundred million mobile users in the region. This rapid transformation in the region’s connectivity has encouraged politicians, journalists, academics, and citizens to speak of an ICT-fuelled economic revolution happening on the continent. However, while much research has been conducted into the impacts of ICTs on older economic processes and practices, there remains surprisingly little research into the emergence of a new informationalised economy in Africa. It is now that we need empirical research to understand precisely what impacts are observable, who benefits, and how these changes match up to our expectations for change. Ojanperä, S., Graham, M., and Zook, M. 2019. The Digital Knowledge Economy Index: Mapping Content Production. The Journal of Development Studies. DOI: 10.1080/00220388.2018.1554208. Graham, M., Ojanperä, S., Anwar, M. A., and Friederici, N. 2017. Digital Connectivity and African Knowledge Economies. Questions de Communication. 32. 345-360. Ojanperä, A., Graham, M., Straumann, R., De Sabbata, S., and Zook, M. 2017. Engagement in the Knowledge Economy: Regional Patterns of Content Creation with a Focus on Sub-Saharan Africa. Information Technologies and International Development. 13. 33-51. Graham, M., Hjorth, I., Lehdonvirta, V. 2017. 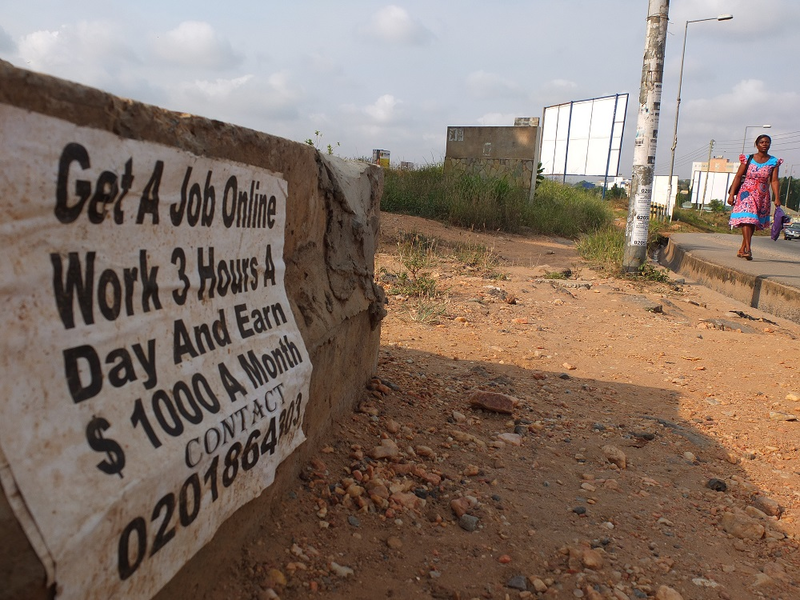 Digital labour and development: impacts of global digital labour platforms and the gig economy on worker livelihoods. Transfer: European Review of Labour and Research. 23 (2) 135-162. https://doi.org/10.1177/1024258916687250. Ojanperä, S., and Graham, M. 2017. Africa risks fading from digital knowledge economy. SciDevNet, June 6, 2017. Foster, C. and Graham, M. 2016. Reconsidering the Role of the Digital in Global Production Networks. Global Networks. DOI: 10.1111/glob.12142. Graham, M., and Foster, C. 2016. Geographies of Information Inequality in Sub-Saharan Africa, The African Technopolitan. 5 78-85. Graham, M., Mann, L., Friederici, N. and Waema, T. 2016. Growing the Kenyan Business Process Outsourcing Sector, The African Technopolitan. 5 93-95. Graham, M. and L. Mann. 2013. Imagining a Silicon Savannah? Technological and Conceptual Connectivity in Kenya's BPO and Software Development Sectors. Electronic Journal of Information Systems in Developing Countries. 56(2). 1-19.